When it comes to replacement windows, the choices are nearly endless. Because replacement windows can make a significant impact on the overall style, comfort and energy efficiency of your home, it’s important to select the replacement window that best fits your needs. New windows can make your home quieter, more attractive, and less drafty, and they may require less maintenance than your old windows. 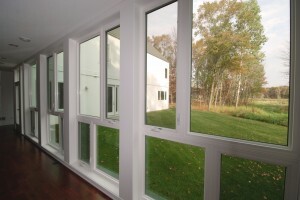 They’re also easier to clean than old windows with combination storm and screens and can reduce your carbon footprint. In fact, according to ENERGY STAR®, replacing old windows with new ENERGY STAR® qualified models can save between 7 and 15 percent annually on household energy bills. Clad-Wood– Low-maintenance exterior metal cladding offers extra protection from the elements. 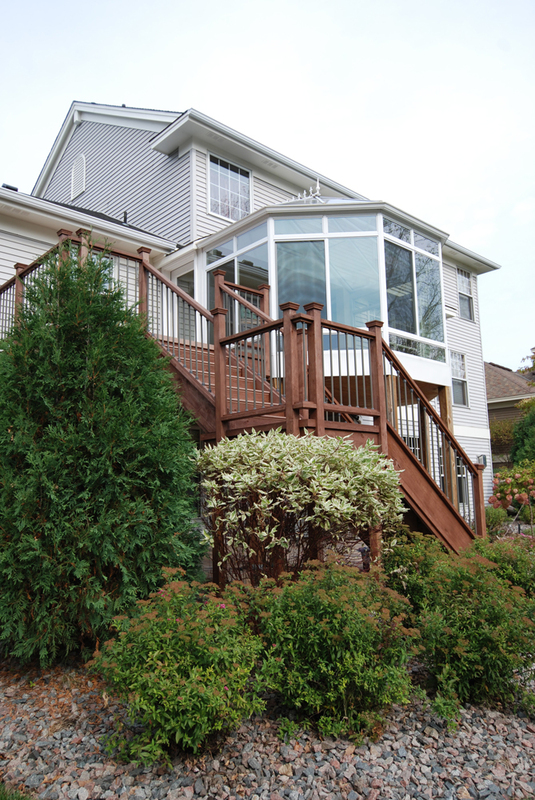 These windows feature beautiful wood inside your home with protective metal cladding outside. The baked-on finish is durable, easy to care for and available in a variety of popular colors. Wood– With wood windows, you get the beauty of natural wood interiors and exteriors without the worry of wood rot. Wood windows are easy to care for while offering design freedom to stain, clear coat, or paint to get the exact look you want. Vinyl– Vinyl is remarkably durable and will give you years of energy efficient performance. They are easy to care for, plus there are ample design options to enhance or complement your home’s character. 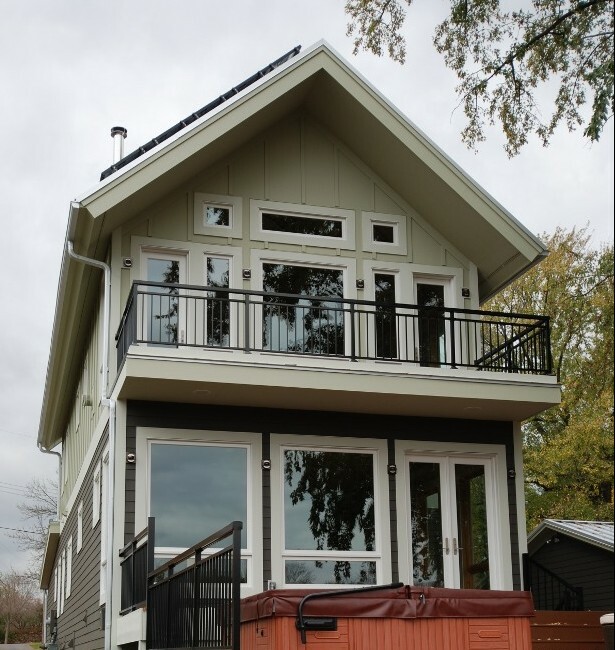 Aluminum– These windows are lightweight and strong, and are most frequently selected when heat loss is not much of a concern. 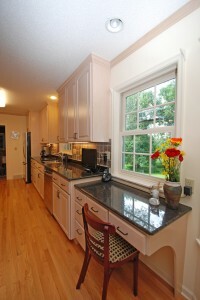 Aluminum windows are also very cost effective. Color – Add some pop to your windows with color. Designed to accentuate your home’s curb appeal, a wide variety of colors are available in clad-wood, vinyl and aluminum windows. Hardware-finish –Complement your existing décor with a variety of hardware finishes, like oil-rubbed bronze and nickel. Grilles– Grilles (also called grids) are the decorative pieces that divide the window into panes and accent the style of your home. Common types of grilles include simulated divided lites (SDL) and grilles between the glass (GBG). GBGs are a more economical option and minimize cleaning. Other options include full surround removable grilles and grilles in different profiles and bar widths. U-factor, or U-value,usually ranges from 0.20 to 1.20. The lower the number, the better the window is at keeping heat in. Solar heat gain coefficient is between 0 and 1. The lower the number, the better the window is at blocking unwanted heat from the sun. Visible transmittance is between 0 and 1, and indicates how much visible light a window lets in. As the number increases, so does the light. Type of Window Operator – Casement, awning, single-hung, double-hung and sliding are the most common window types. When choosing a window type consider the architectural style of your home, performance features and the amount of airflow desired. For example, a casement window allows for maximum ventilation while a sliding window limits it to one half of the window. Double-hung or single-hung windows with a tilt-in feature allow for easy cleaning. Fixed windows that don’t open are available in an array of geometric and radius shapes. Installation, including anchoring, insulating and sealing the window to the house to make it airtight and watertight, is as important as the quality of the window itself. A poorly installed window may be hard to open and close, and its durability, energy efficiency and appearance will be compromised. The Chuba Company’s ability to offer several different window products gives you the widest options in design, cost, and performance. There are so many things to consider when shopping for replacement windows, let The Chuba Company help with their years of exterior remodeling and window replacement expertise. With over 125 years of combined experience in the roofing and exterior construction industry, The Chuba Company provides quality installation and dedication to our clients. We aren’t satisfied until you are. 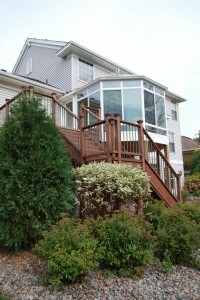 From roofing, siding, to windows, we’re here to assist you with your exterior construction needs. There are many reasons you might need a roofing or exterior construction project. Whether it’s to repair storm damage, update the exterior look of your home, or make the outside of your home maintenance free, The Chuba Company are your professionals in the exterior construction industry. When you call The Chuba Company you’ll see how important the smallest details are. From the way we treat our clients right down to the smallest details in the façade of your home, The Chuba Company is your company for updating or repairing the outside of your home. Contact The Chuba Company today!